The roof is one of the most important parts of any home. This is because it provides protection from the elements and weather for you, your family, and your household items. This is why you must ensure that your roofing system is in perfect condition at all times. This will ensure that your family and possessions are protected at all times. Here are a few reasons to consider roof renovation services for your leaking or worn out roof. Every homeowner wants his/her family to live happily and enjoy their home. You do not want you and your family living in fear and worry. A leaking roof comes with lots of safety concerns. One of the most prominent risks is electrocution since many homes have electrical devices. Professional restoration services will provide you with a temporary solution for your roofing system until the time you are ready to replace it. Most premium quality roofing systems usually last for approximately 20 years. By repairing areas of your roof that are leaking and worn out, you can add about 10 to 15 years to the life of your roof. With roof repair services, you can defer complete roof replacement to a later date as you make plans for the future. Replacing the entire roof can be costly in terms of materials and labor and the existing roof may need to be removed first. 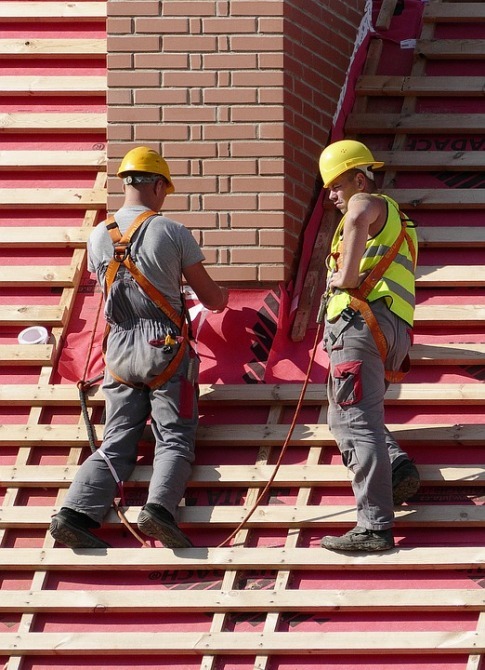 You can save money by opting for roof repair services from a professional roofing company. This type of roof maintenance will cost you less money for materials and labor. Roof restoration services can help you save money as you plan for a roof replacement in the future. Ignoring a worn out or leaking roof will not make your problem go away. Instead, it will keep getting worse. As time passes, the potential for damage will be greater and this will cost a homeowner more money to repair or reinstall it. Continued neglect of a worn out roofing system can put your family or tenants at risk. Restoration services can prevent any damage and will give you time to plan for a complete reinstallation of a new roof. Roof repair services tend to be more sustainable. Every year, millions of tons of roof wastes always end up in the landfills. With restoration services, you will be reusing your existing roof and this makes it a more environment-friendly alternative. In addition, restoration services can make your home to be more energy efficient and this can help you to qualify for LEED or ENERGY STAR credits. Roof renovation is one of the best ways of reclaiming a deteriorating roof. Sometimes, a homeowner may not be in a position to upgrade the roof because of financial challenges. If your roof was installed by a roofing company, you can talk to them about repairing the worn out parts of your roofing system. Make sure that they can deliver the best quality restoration services so as to minimize the number of repairs. Although roof repair is a short-term solution, it will give you time to prepare yourself for a complete reroofing in the future and minimize damages caused by a leaking roof.